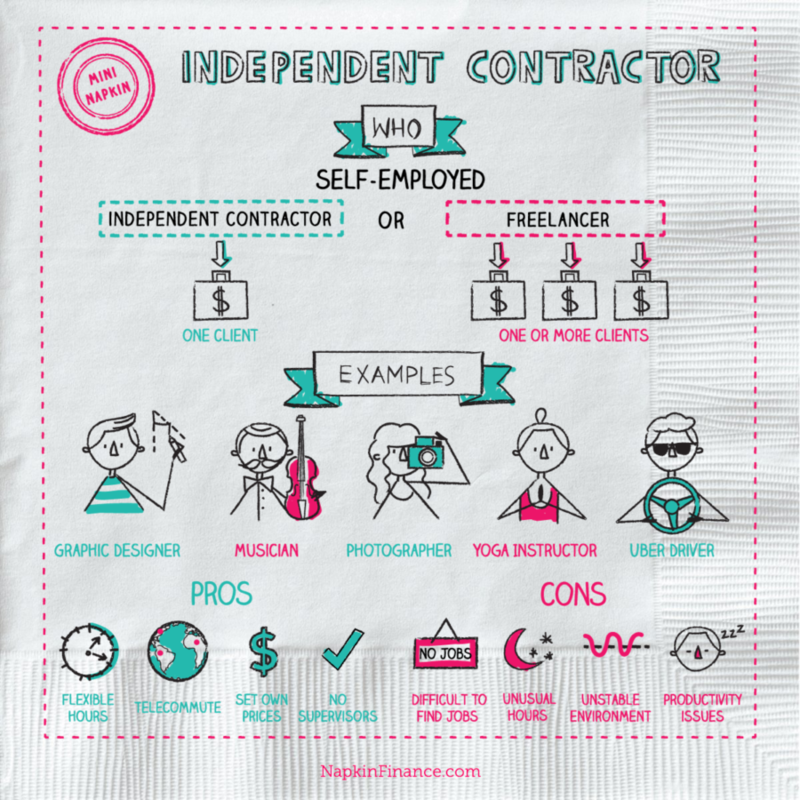 What is an Independent Contractor? 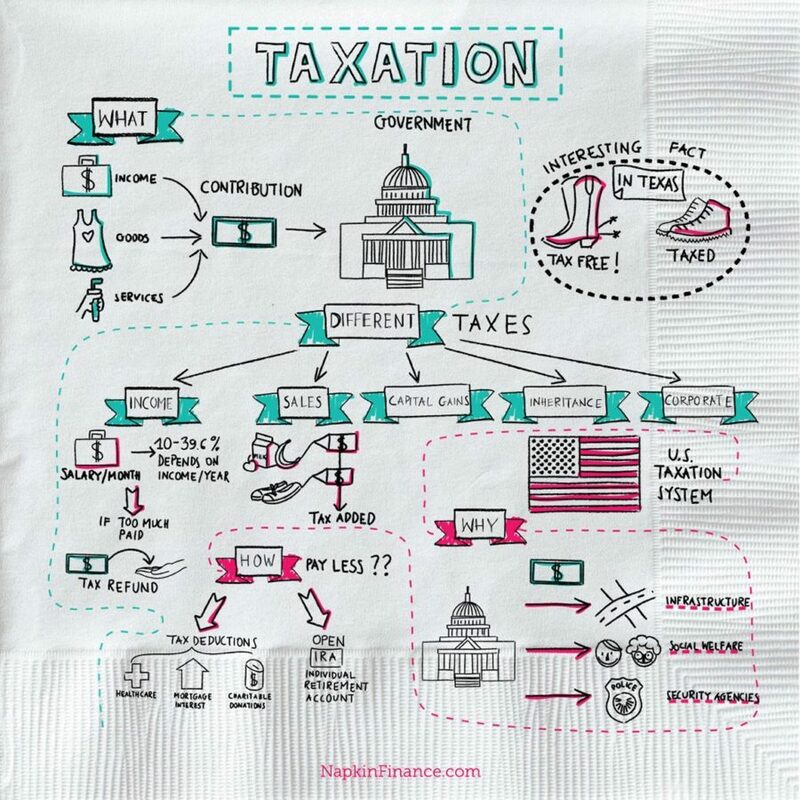 Napkin Finance has your answer! 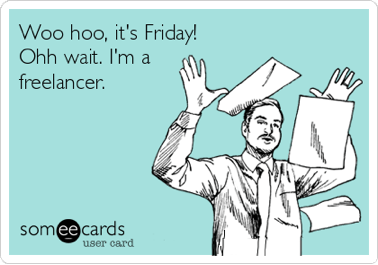 An independent contractor is someone who is self-employed and not committed to a long-term job. Also referred to as “Freelancers” or “1099 Employees,” independent contractors work on a project-by-project basis. The two are similar in function, but independent contractors typically have only one client at a time and work with them for a longer term than a freelancer. Freelancers can have many clients or just one. Accordingly, independent contractors aren’t necessarily freelancers, but freelancers are always independent contractors. 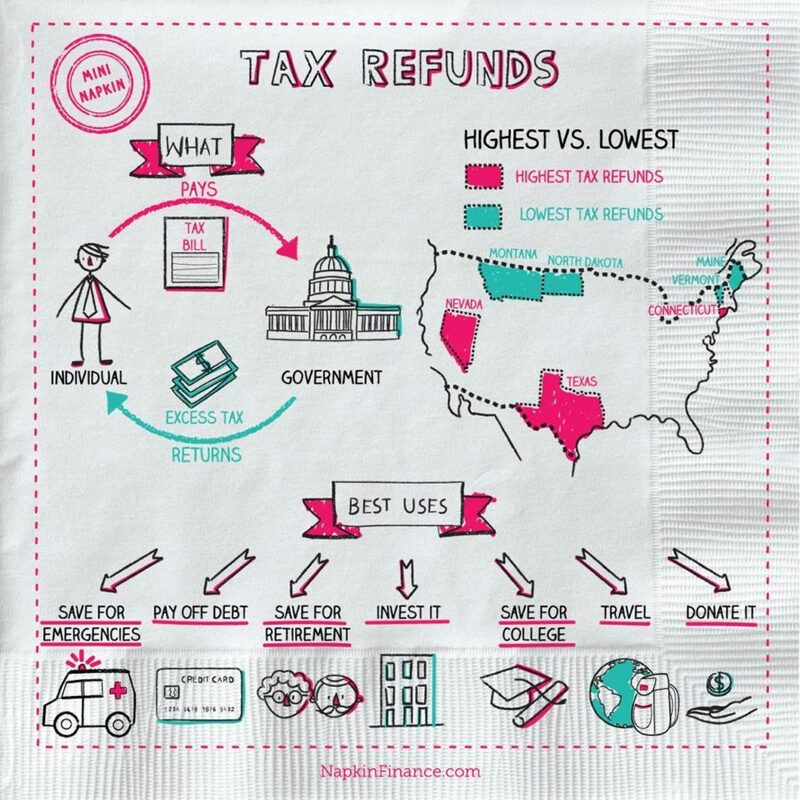 Freelancers must withhold their own taxes. They also do not receive employee benefits, such as vacation time, health insurance, or sick days. Independent contractors are responsible for calculating their own payroll taxes and then submitting them to the government. When a freelancer or independent contractor is called a “1099 Employee,” the term refers to the tax form they must fill out. The form 1099 reports to the IRS how much money was paid to the contractor. Rather than receiving a W-2 form to determine income tax payments, freelancers receive the 1099 tax form. If you are an independent contractor or self-employed, you get a Form 1099-MISC from every business that pays you $600 or more. If you are an employee, you get a W-2. Here is a link to the 1099 Form. Flexibility in work hours and opportunities. Sometimes difficult to find job opportunities. Can telecommute or work from any chosen environment. Hard to maintain work/life balance when you work unusual hours. May set own prices to charge potential employers. May not have a stable or reliable work environment. Usually happier being able to pursue a career without having restrictions from managers/supervisors. Can be difficult to stay productive when you can't find work.